As both a practitioner and educator, can you describe what the most important value to transmit to photography students is today? Photography was never as present as today, but it seems the social impact of professional photographers was never as limited and uncertain. Technological changes and a global culture of amateur photography together with the changing economic capabilities of traditional media put photographers in a highly precarious position. The increasingly automated technologies of image production and distribution, machine-to-machine based image culture and algorithms based on predictability and correlation seem to work outside the human cultures of storytelling. As photography is being altered through these technological systems of seeing, so, too, is society’s capability to render this new visual language as a meaningful participant in everyday life. The discipline is shifting, with or without us. We are not interested in training students, but providing an education. We see the need to acknowledge to students the wider contexts of their image-making practice, and where – and how – they situate themselves. 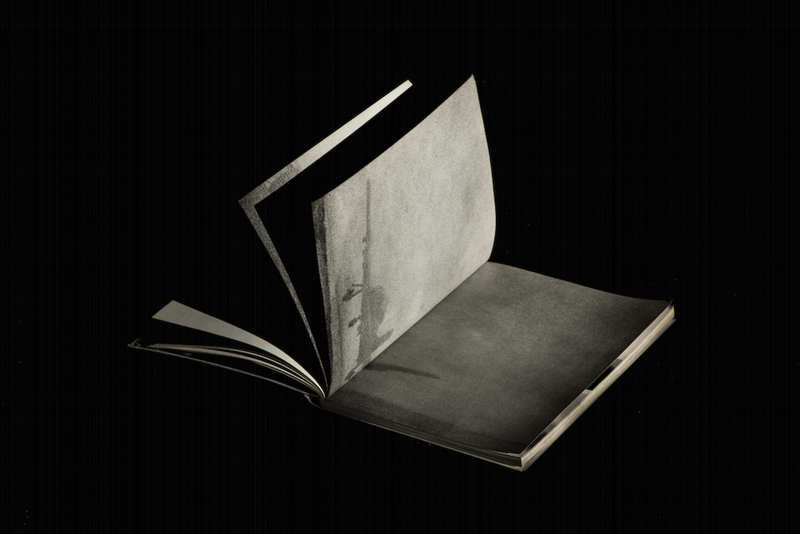 Put another way, Photography & Society aims to elaborate strategies where ‘good work’ is positioned towards the sharing of knowledge and ideas, strategies to discover diverse opinions of practice. We want to ‘un-discipline’ the practice of photography to command the ultimate act of moral resistance in a professional world, rather than shackled to a market-driven, commercial ideology. Can you see certain trends across different international and/or European photography programs, if so, how do you provide students with a unique educational experience? We’re living this era of the re-thinking of the medium of photography and, consequently, the rules that have been creating and fostering a sort of categorization and indexing useful to criticize, evaluate, approach a body of work. This, I think, is quite common across European schools, and I am sure other geographic regions. Fundamentally, I do not disagree with this statement, as we must always question our practice, but what I do see is that photographic thinking stops at the apparatus of photography; schools get seduced by the techno-fetishism of reinvention. But, I do not think these investigations yield results – until you begin to consider the politico-social role of photography. This is where most programs stop short. Trevor Paglen has stated that “we no longer look at images – images look at us.” Images no longer represent things, but rather intervene in everyday life. These are exceptional forms of power created through an omniscient imperial gaze. We must understand how to understand these changes! What role do institutional partnerships and collaborations play for your new MA program and how do they benefit the students? Collaboration is necessary to redefine photography as central to 21st-century art and culture and as a means to situate the photographer at the core of contemporary debate. The socially-engaged photographer of today must be masters of the distribution chain, seamlessly moving from concept to making work to presentation to novel forms of distribution. We encourage connecting with civic, cultural and social partnerships. These partnerships provide insights, networks and platforms that allow students to not only create work about society, but also bring their work back into society and make a valid contribution. Can photographers be socially-engaged in an extremely competitive and demanding ‘attention economy’? How can education systems help to stimulate (political) engagement? We can begin to encourage and engage political sensibility through a total realignment of the discipline itself. Education is able to build relationships that sustain and support the fulfilment of individual potential while contributing to the harmonious growth of a community and society; an intrinsic, rather than extrinsic familiarity. Through examining strategic interventions, we show possibilities to enable the photographer to transcend the professional, and rather engage within society as a practical intellectual, transgressing beyond the discipline and becoming un-disciplined. I was a tabloid photographer! But before that, I actually worked in architecture for five years, first with Rem Koolhaas and then back home in Toronto. But photography was always something I wanted to do, I am a child of the 80s, and consumed newsmagazines as a young boy and teenager, witnessing the transformations of history through photographs. This romantic notion of contributing to the documentary record is quite a powerful feeling. But of course as you mature, you start seeing photography in a new way, and understand its limitations. 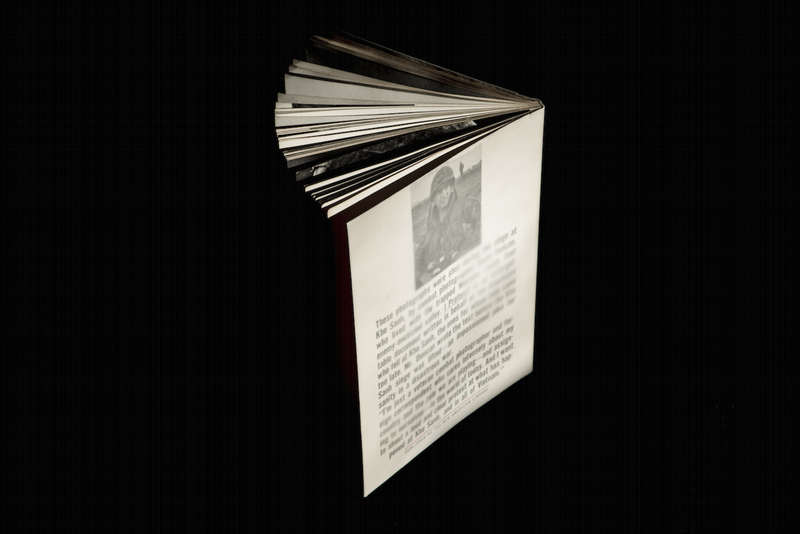 The first project where I started to doubt the common held notion of what photography is, was my publication Interrogations, which looked at accused in Ukrainian and Russian interrogation rooms. I was extremely uncomfortable with my role, in fact even with the word “subject,” which has such powerful meaning. I began to question the methodology of photography – to interrogate how we photograph, how the participants in a photograph collaborate with the photographer, and how the citizen consumes images. Education is a way to address the limitations of the profession, and to seek new paths into “un-disciplining” photography itself. Does your new MA program encourage collaborations with other disciplines within the KABK? What can students expect in terms of exchange? KABK was the first art institute to establish a formal collaboration with a university, partnering with nearby Leiden University in 2001. Students on the MA programme will have the opportunity to conduct research at Leiden, and, by extension, collaborate with the scholars they encounter. With programmes in design, fine arts, fashion, and architecture, KABK will also offer an array of opportunities for students to work with peers from over 40 countries and a diverse array of artistic disciplines. Can you show us some examples of works that have been inspiring for you when designing the course? 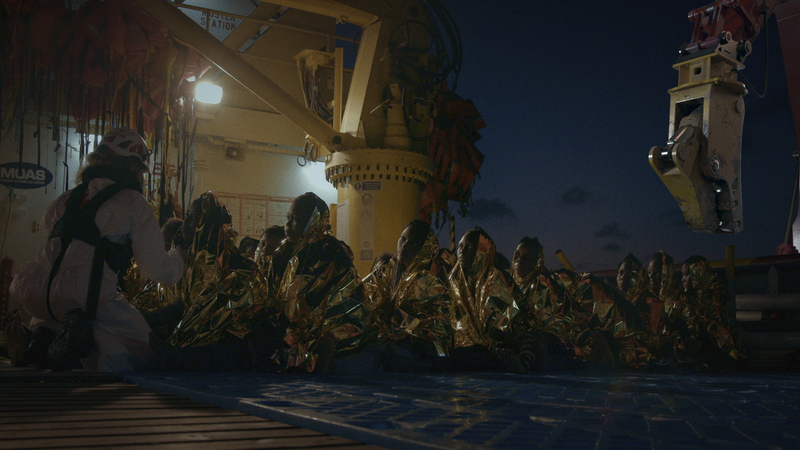 Broomberg and Chanarin’s recent film installation The Bureaucracy of Angels addresses the current migration crisis, highlighting the ongoing legacy of this contemporary reality. 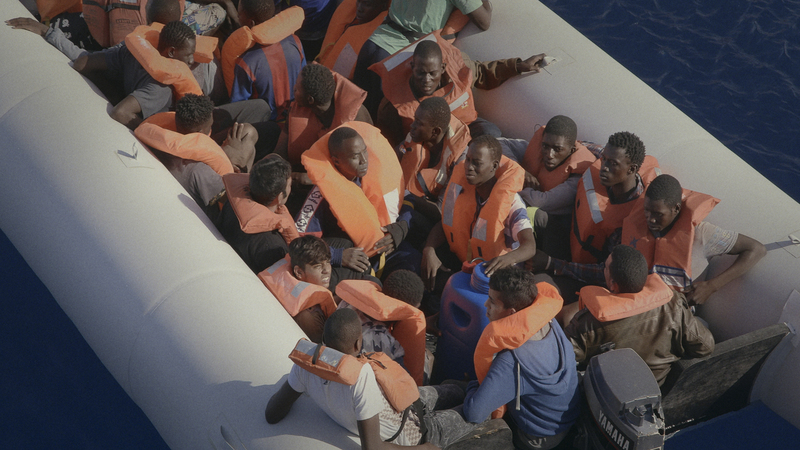 Centred around the demolition of 100 migrant boats in Sicily, which arrived laden with refugees from North Africa, the film is narrated by the hydraulic jaws of the digger tasked with destroying the abandoned vessels. Commissioned by the public art programme Art on the Underground, and shown for almost two months at Kings Cross St. Pancras, the artists were able to bring the project to a much wider audience by displaying it in this public setting. “Engaging a public that’s not coming to a place to see an artwork, but is confronted by one, is an interesting problem to solve,” reflects Broomberg. In 1968, the American photojournalist David Douglas Duncan returned from photographing the horrors of the Vietnam War. 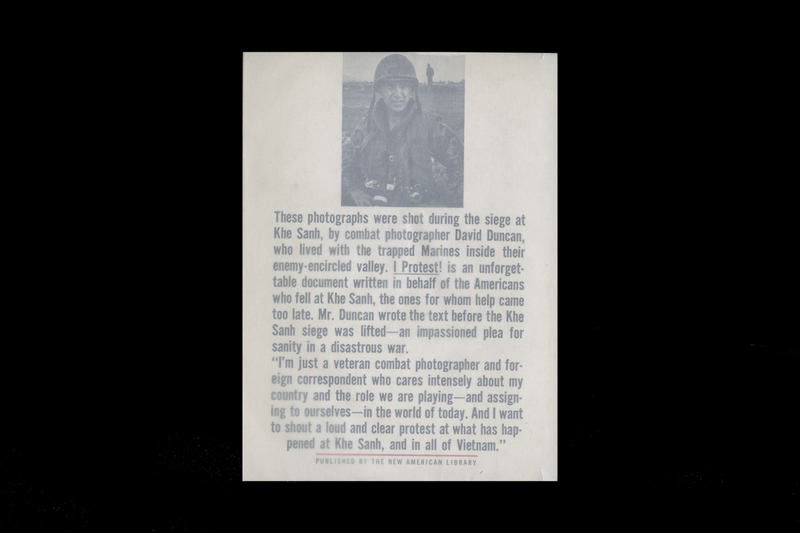 His images of the bloody siege of Khe Sanh had appeared in Life, but the photographer wanted to say more, and self-published a small paperback entitled I Protest. 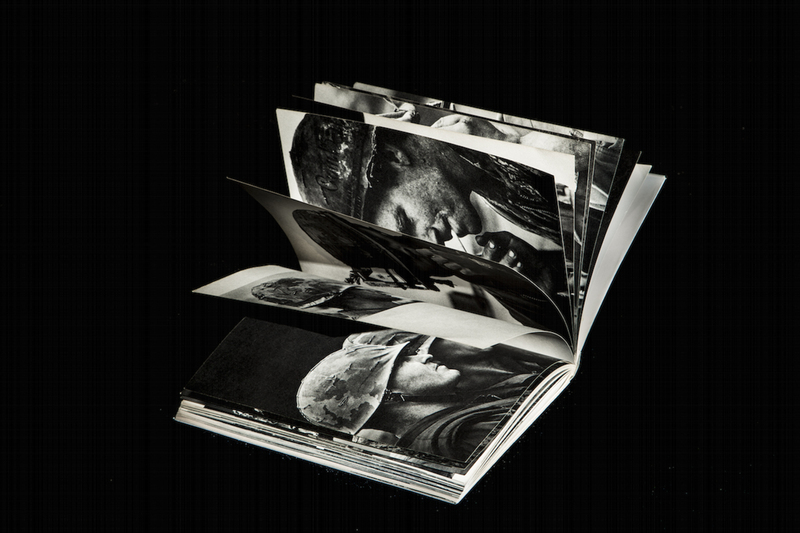 Featuring 122 stills from the battle, along with text openly criticising the conflict, Duncan printed 250,000 copies of the publication, which he sold for $1 each. Through releasing the work into society on his own terms, the photographer succeeded in inciting debate and dialogue about the conflict. Adam Broomberg & Oliver Chanarin. Beaurocracy of Angels, All rights reserved. 1/8 David Douglas Duncan, "I Protest" photobook. 2/8 David Douglas Duncan, "I Protest" photobook. 3/8 David Douglas Duncan, "I Protest" photobook. 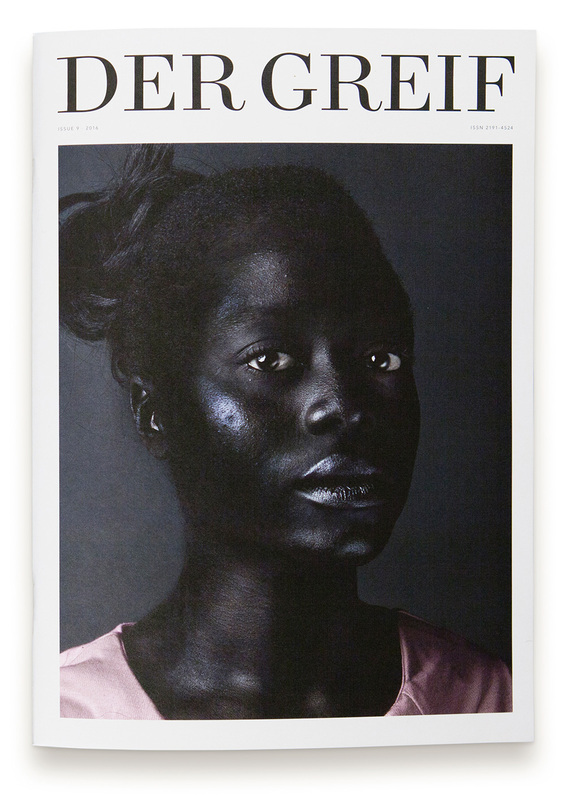 4/8 David Douglas Duncan, "I Protest" photobook. 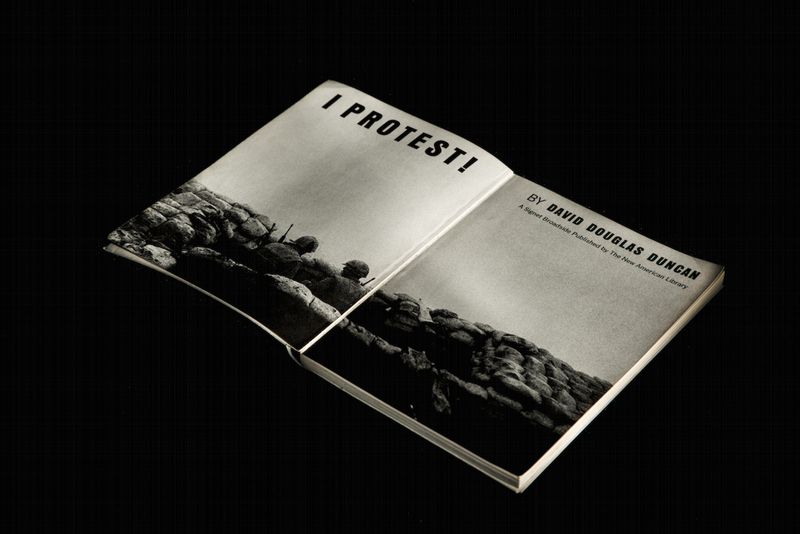 5/8 David Douglas Duncan, "I Protest" photobook. 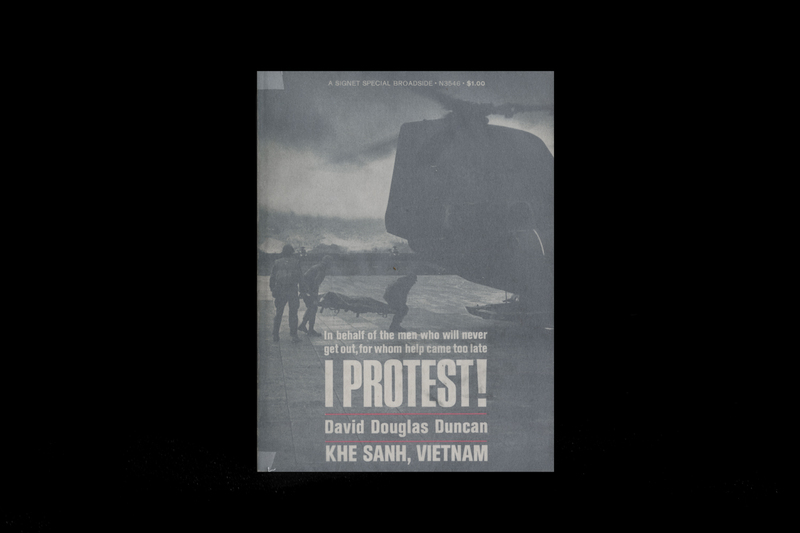 6/8 David Douglas Duncan, "I Protest" photobook. 7/8 David Douglas Duncan, "I Protest" photobook. 8/8 David Douglas Duncan, "I Protest" photobook. The Master Photography & Society begins in September, 2018. 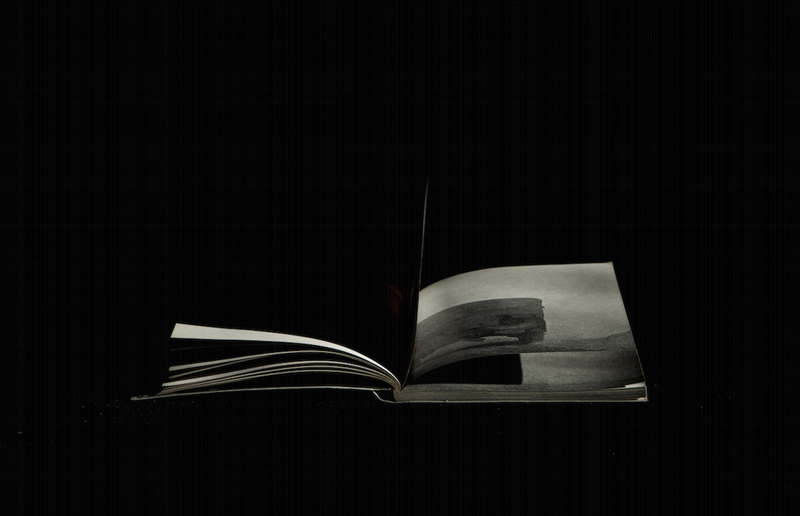 A two-year program, Photography & Society is transdisciplinary by nature, structured to reflect our strength in collaboration, research, and impact. Course Leaders are Rob Hornstra & Lotte Sprengers. Faculty members include Donald Weber, Adam Broomberg & Oliver Chanarin, Judith van IJken and others. To apply: Submit your portfolio, research proposal, letter of motivation and curriculum vitae preferably before April 10, 2018, but no later than May 1, 2018. For more information about the course please visit the KABK website. Prior to photography, Donald Weber originally trained as an architect and worked with Rem Koolhaas in Rotterdam, The Netherlands. 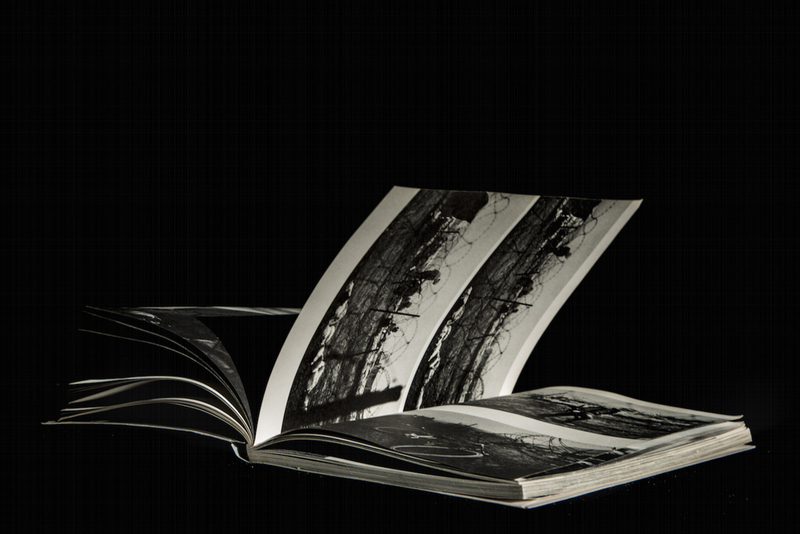 Weber is the author of four photography books. Interrogations, about post-Soviet authority in Ukraine and Russia, has gone on to much acclaim; it was selected to be included in Martin Parr and Gerry Badger’s seminal ‘The Photobook: A History, Volume III.’ Weber’s latest book, War Sand, explores D-Day as told through a grain of sand. He is the recipient of numerous awards and fellowships, including a Guggenheim Fellowship, the Lange-Taylor Prize, the Duke and Duchess of York Prize, two World Press Photo Awards and shortlisted for the Scotiabank Photography Prize. Weber’s work examines the hidden infrastructures of power, be it economic, political or social. He serves on the faculty of the Royal Academy of Art The Hague (KABK), The Netherlands, and is beginning his PhD studies.